Our nutritionist has written a lot for Hello Veggie about how to get the protein you need when you don’t eat meat. While it’s not as impossible as people seem to believe it is, it can take some planning and mindfulness. Katie shares how to calculate the amount of protein you need in this post, and demonstrates what a day of eating 75 grams of protein looks like too. But if you’re looking for some more meal inspiration, we’ve got it here! Once you’ve prepped some make-ahead high protein breakfasts, it’s time to tackle lunch. 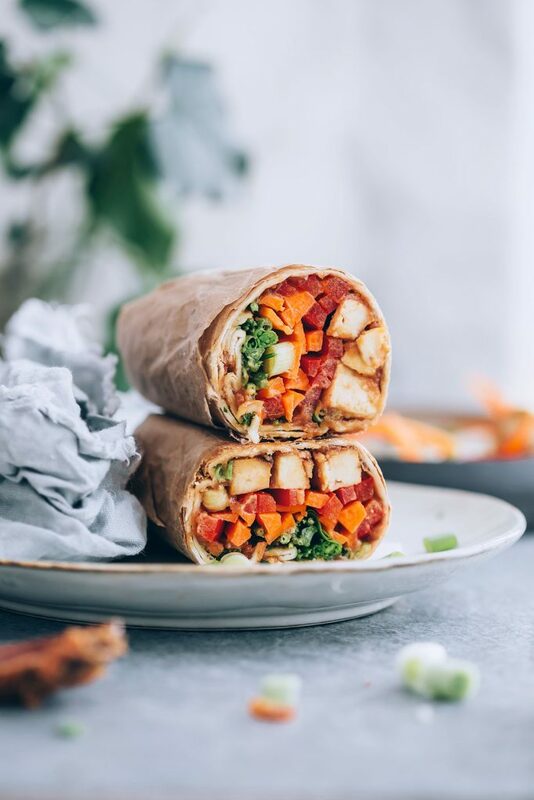 These 7 high protein vegetarian lunches are all options that can be made in advance, packed up, and brought with you to work. And they all have 20 or more grams of protein per serving! 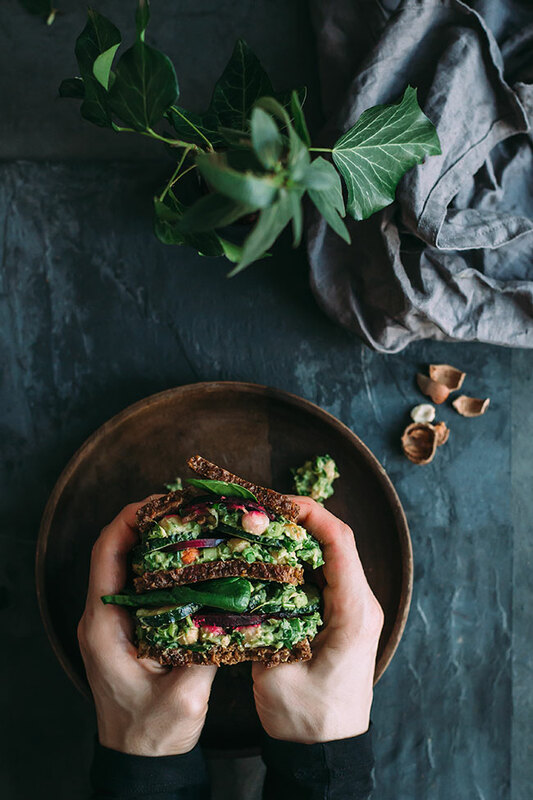 For those days when you’re brown bagging it, you really can’t beat a sandwich. Forget the PB&J and opt for this meatless chicken salad remake instead. 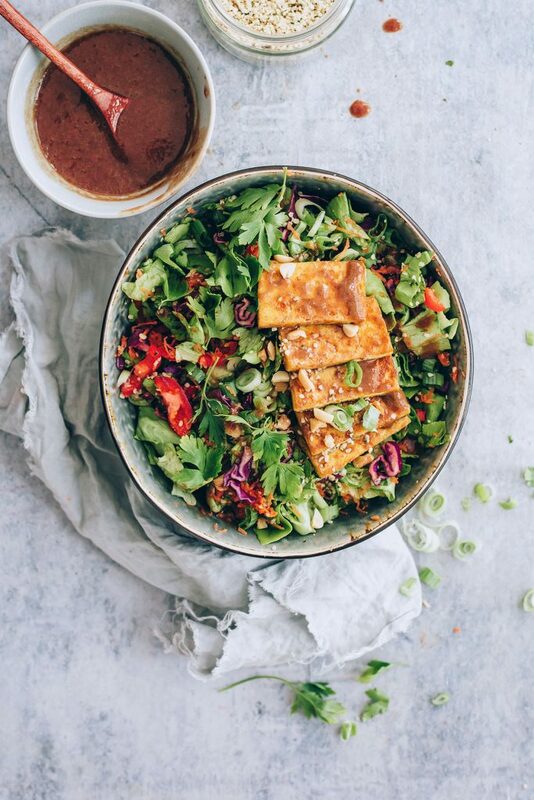 The dressing for this high protein salad is made with miso, giving you a boost of gut-friendly bacteria with every serving. 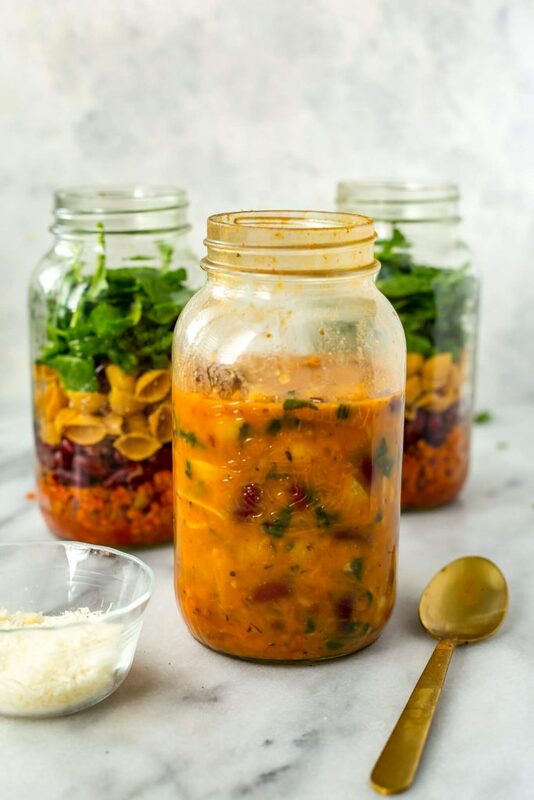 If you thought vegetable soups were always lightweights in the protein department, this minestrone will prove you wrong! It packs 27 grams per serving. Wraps are ideal for making on a Sunday night and eating the rest of the work week. Or pack the components in a bento and assemble them before you eat! Even salad haters will love this recipe. 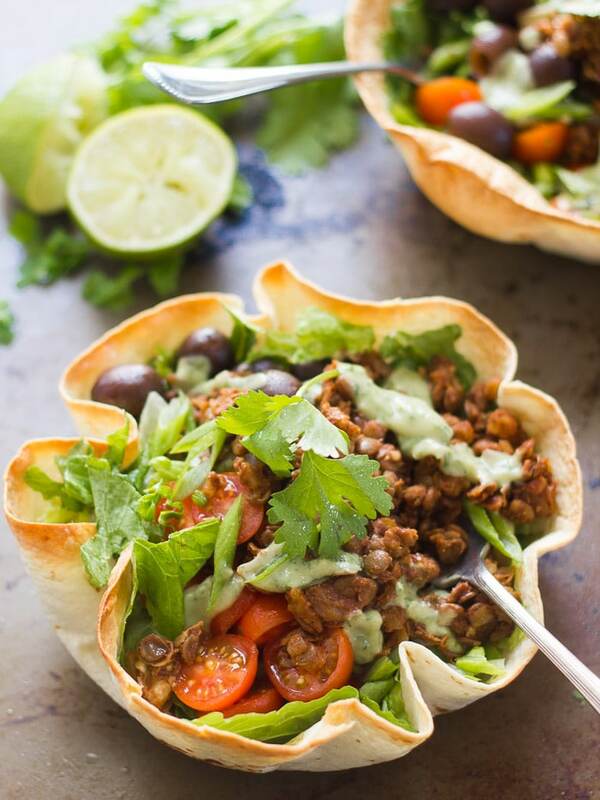 I mean, how can you resist a crispy taco shell bowl? Answer: you can’t. 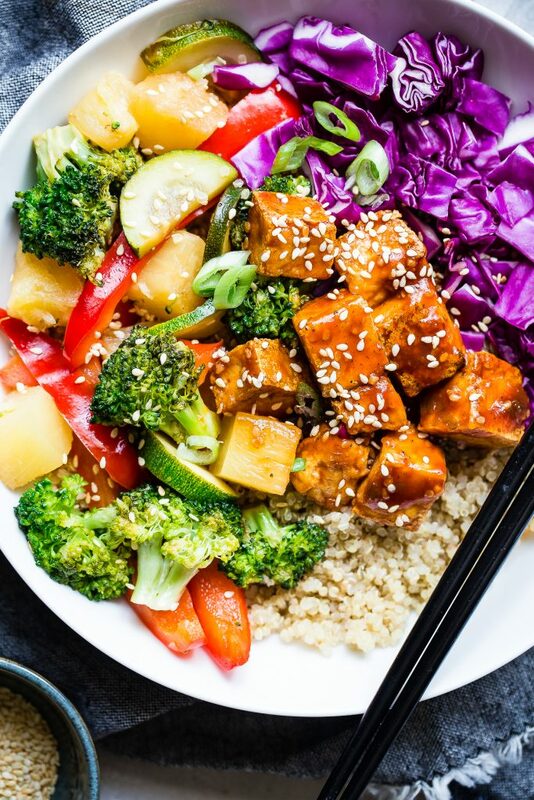 With nearly 25 grams of protein per serving, these bowls are a nutritionally balanced lunch that make it easy to resist the lure of takeout. 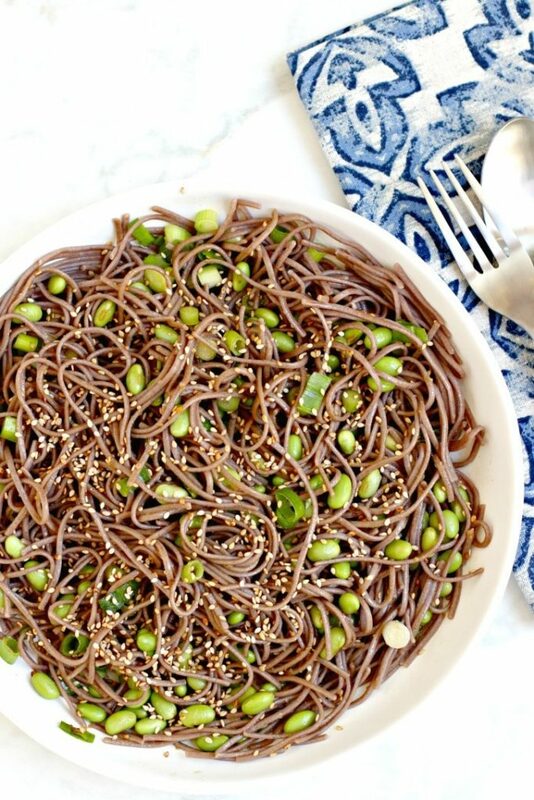 Soba is made with buckwheat, which means it’s gluten-free and a decent source of protein. Combined with the edamame, you get 24 grams in this salad.